Please note this item will take 2-3 weeks before dispatch. 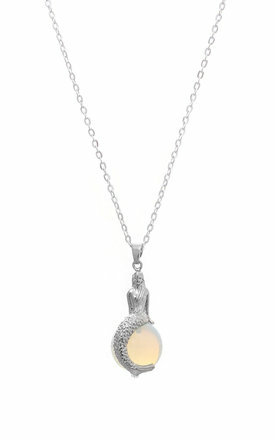 A semi precious Opalite crystal hangs on a long Silver necklace with a silver mermaid. The necklace measures 30" long. The crystal is a Milky White colour but rainbow coloured in the light..
Crystals measure approx 40mm from the top of the loop. Opalite is a highly energetic stone. It is the ideal stone for meditation. Opalite improves communication on all levels, especially the spiritual. Emotionally, Opalite helps by assisting during transitions of all kinds. It engenders persistence and gives us strength in verbalising our hidden feelings. It can also help us to be successful in business. Opalite is an all-round healing stone. 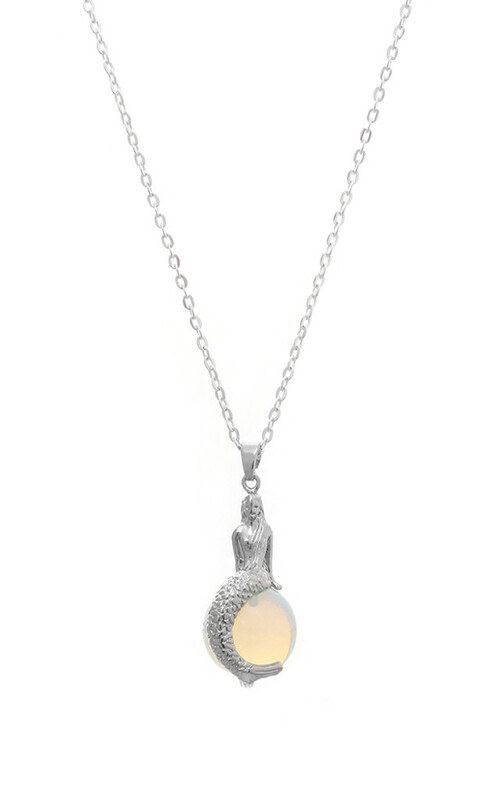 Opalite stabilises mood swings and helps in overcoming fatigue. It purifies the blood and kidneys.